SOUTHINGON - Two local legislators, state Sen. 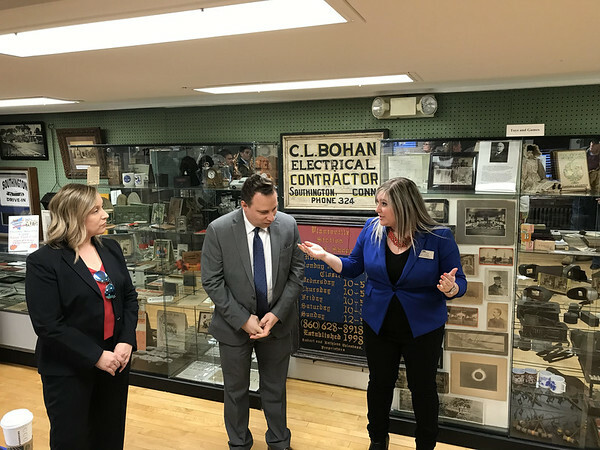 Rob Sampson and state Rep. Liz Linehan, gave visitors to the Southington Historical Society a mid-session update Tuesday, outlining discussion topics, goals and initiatives. 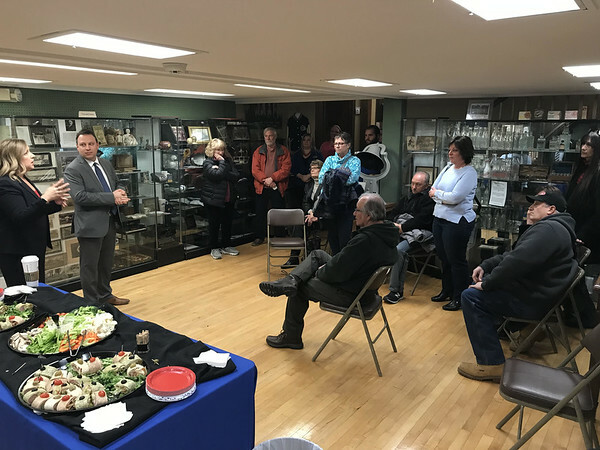 About a dozen people attended the event, sponsored by the Southington Chamber of Commerce. House Speaker Joe Aresimowicz and Rep. Gale Mastrofrancesco had planned to attend, but canceled. The event, originally planned for the town library, was then moved across the street. The conversation at times got heated as Liz Linehan, a Democrat representing Southington, Cheshire and Wallingford, and Sen. Rob Sampson, a Republican representing Southington, Prospect, Wolcott, Cheshire and Waterbury, and debated each other’s points. Sampson called himself one of former Gov. Dannel P. Malloy’s most outspoken critics. He said he ran for office because he felt the state was going in the wrong direction and wanted to fight high taxes and spending. He said he is in the real estate business and has seen people leaving the state in record numbers as a result of taxes and regulations. He said he is “upset” with Gov. Ned Lamont, who he feels is going down the same path as his predecessor. Sampson said he believes there is an ebb and flow in politics and doesn’t believe Democrats have the numbers to pass legislation establishing tolls on the state’s highways. Sampson already has held forums in Waterbury and Southington and plans one in Cheshire. He has also been engaging people via social media and through e-mail blasts. “I will never vote in favor of tolls,” he said. “I’m not for raising taxes on the middle class, but I don’t believe we can’t do anything and overburden people 10 years down the road,” she said. Linehan said she is not a proponent of the current toll proposal or some of the other proposed taxes, such as one on home heating oil. She said she will decide on tolls based on how much it will cost taxpayers and how much the Republican “Prioritize Progress” plan will cost now or in the future. Other factors will include potential reductions in the gas tax and income tax credits. Linehan also feels strongly about strengthening bullying laws and including social/emotional learning throughout the entire public school curriculum, from preschool to senior year in high school. She also wants to ensure that teachers and students are educated on racial sensitivity and bias and that early suicide screenings are implemented. Sampson said he also supports a federal solution to the question of illegal immigration. He said Connecticut’s being a “sanctuary state” for undocumented immigrants is a “huge issue.” He said illegal immigrants cost the state $1 billion a year and that until immigration is “fixed,” they live “in the shadows as second-class citizens.” Sampson said having sanctuary cities allows dangerous criminals to hide among other illegal immigrants. Linehan said she does not believe municipal tax dollars should be used to have local police do the job of Immigration and Customs Enforcement. Posted in New Britain Herald, Southington Herald on Tuesday, 2 April 2019 18:52. Updated: Tuesday, 2 April 2019 18:55.